Silver Paw Milo Bed is by far the most advanced dog bed in the world. In addition to its modern and revolutionary design, the Milo Bed features the latest innovations & technologies so your dog can get the rest he or she deserves. 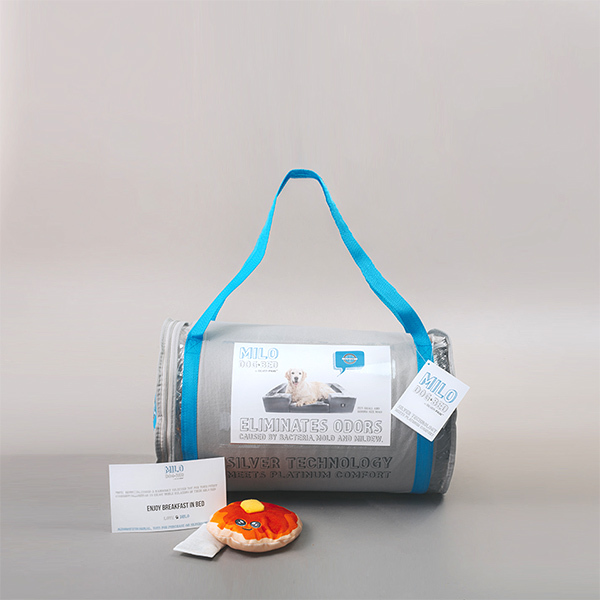 The entire fabrication of the Milo is treated with our SilverShield technology an antimicrobial that eliminates all poor smelling odours caused by bacteria, keeping your pet fresh and your house odour free. Your Milo bed also features our advanced lavender sachet insert that brings a natural fresh fragrance to your home. Not to mention, Lavender is also proven to have a soothing and relaxing effect on your dog to help calm your furry companion. Because the Lavender sachet is replaceable you will never run out! 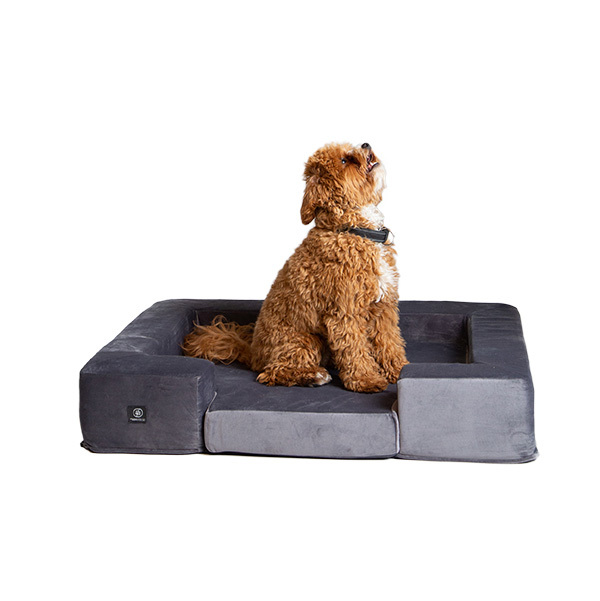 To top off these amazing features, the memory foam will give the perfect support to your dog for countless hours of sleep. 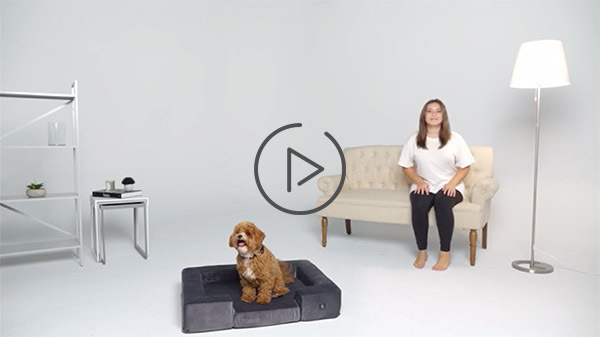 Milo Bed is insanely comfortable thanks to its memory foam and its ultra soft galaxy velvet fabric, offering an optimal support for your puppy. Check out our video. What if we told you that the Milo Bed eliminates odours even before they appear? Well our SilverShield™ treatment does exactly that, the silver ions eliminate all odour caused by bacteria, to prevent any poor smells from forming. 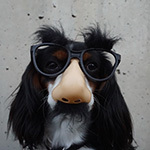 100% pet safe (EPA Approved). Yes your doggy bed will never be smelly!! 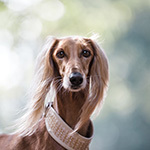 It is completely normal for your dog to sometimes get a little nervous or anxious. Well the Milo bed includes a lavender sachet, which is proven to have a relaxing and soothing effect, helping with anxiety and ultimately calming your best friend. The Lavender Sachet are replaceable, so you will never run out of your buzz-inducing aroma. Our pups need the optimal body support to get best rest, especially considering they spend more than half their lives sleeping :). 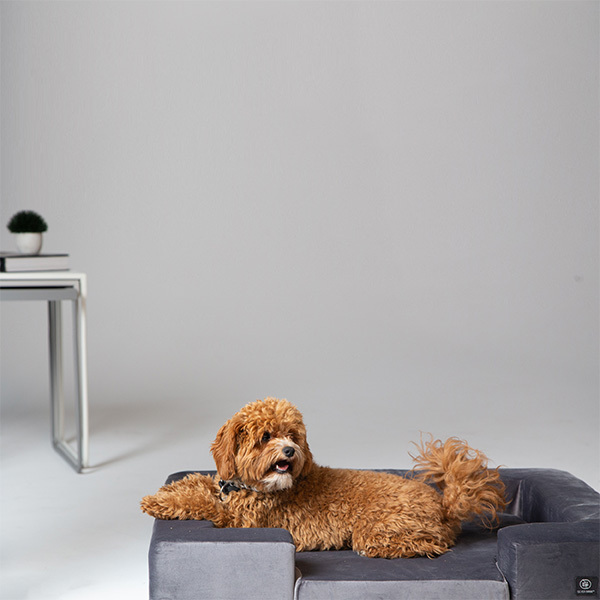 The Milo bed is engineered to provide an optimal support for your pooch. The reinforced construction will keep its shape, so your Milo will always look brand new. Don't be fooled by the size of the bag, the Milo bed is actually huge. We achieved this insanely compact size to offer our pet family something exceptional. Being a professional barker is no easy task and sleep is the main component of my success. Since I have discovered Milo Bed no more sleepless nights, I wake up fresh and early, my bark is louder than before. 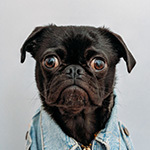 Technology, keeping away all smelly odours. Along with its lavender inserts the Milo keeps me rested, even through my husband snoring. 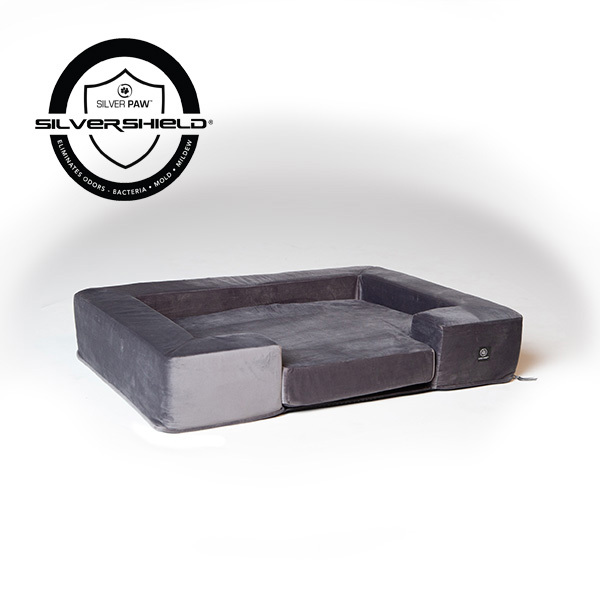 Absolutely, the SilverShield Treatment protects your puppy's bed for more than 100 washes. So whenever you feel your dog's bed needs a clean up, just unzip the covers and insert into the washing machine. WHAT COMES WITH THE MILO BED. Well obviously the bed, but that's not all. The milo also includes a fresh lavender insert to get you started. What else? It's only fair for your best friend to enjoy breakfast in bed along with their owners. The Milo includes, one fun breakfast theme plush toy, so your doggy can brunch in bed.